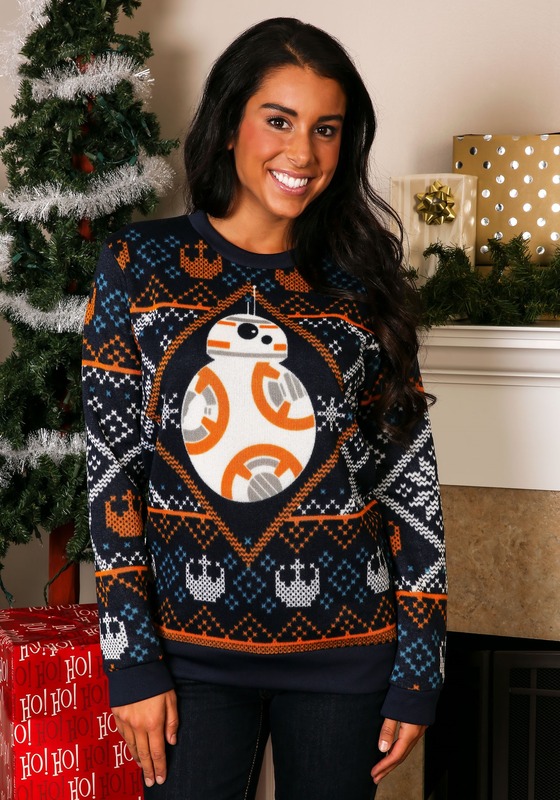 “Hey, there little cutie!” Jenny hollers. 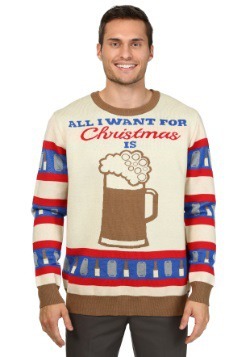 “Which department do you work in? 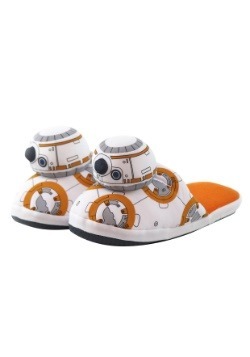 I’ve never seen you around the office.” The little droid starts making a series of excited buzzing sounds, followed by a coy bwrreeerp. 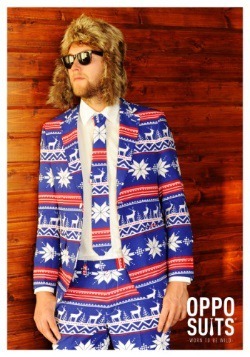 Well, we can always dream. 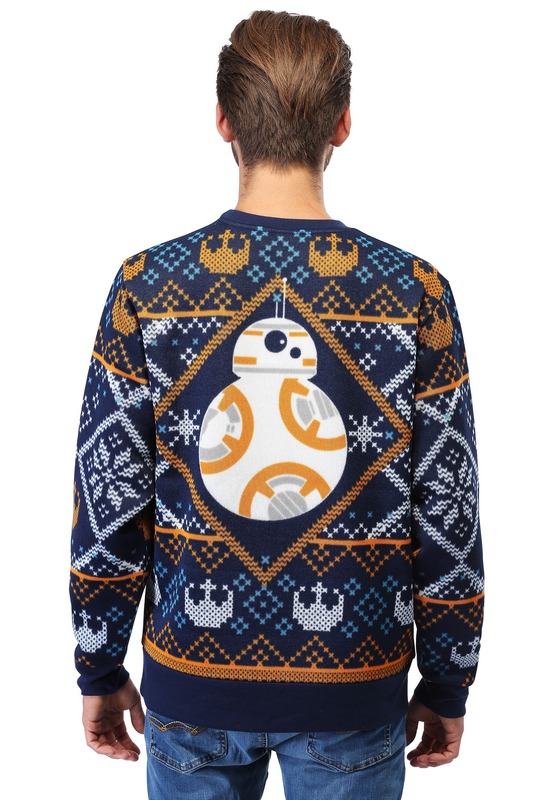 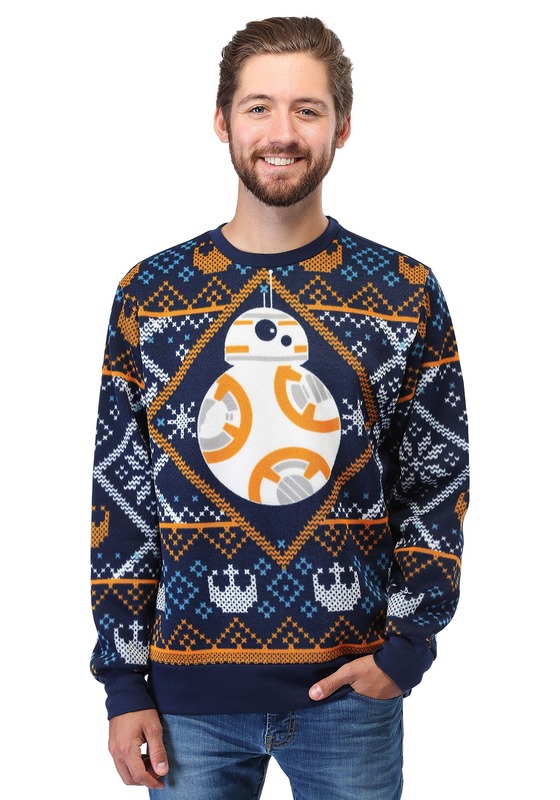 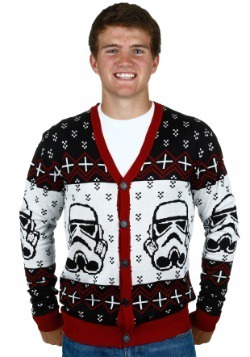 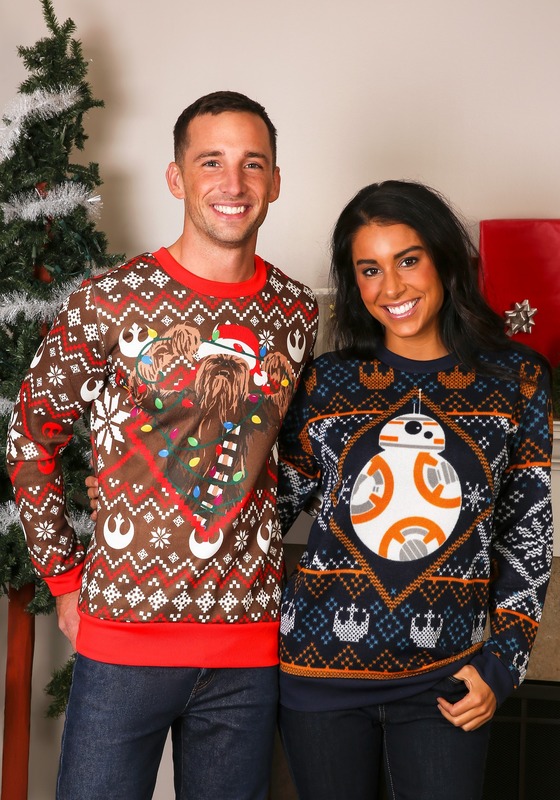 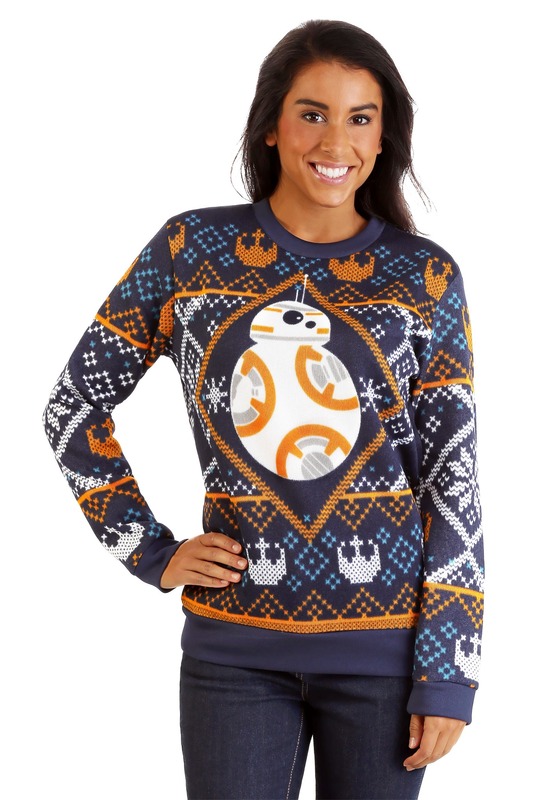 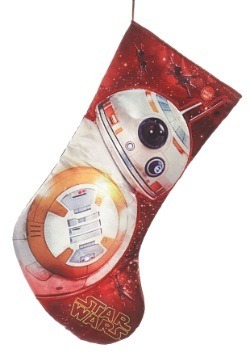 Until then, we’ll just have to settle for this Star Wars BB-8 holiday sweater. 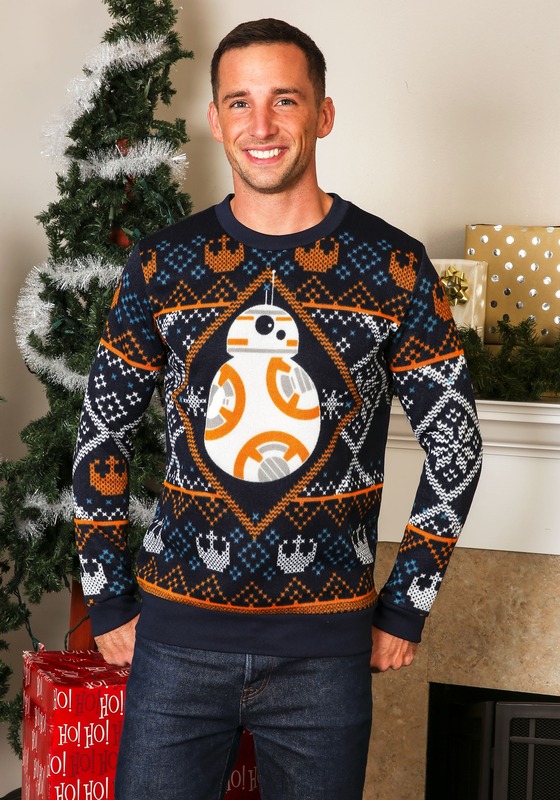 It has all the charm of the iconic character from The Force Awakens, even it if doesn’t make the cute little beeping and buzzing noises that he does in the movie.